Before biology became digital, with its -omics and big data, there were mostly gels and microscopy images. The peak of image use in biomedical papers was reached at the turn of the century, those became the golden times of Photoshop-assisted data manipulation. To celebrate that period, I selected an example of the British cancer researcher Paul Workman, President and CEO of the huge Institute of Cancer Research (ICR) in London. Before biology became digital, with its -omics and big data, there were mostly gels and microscopy images. The peak of image use in biomedical papers was reached at the turn of the century, those became the golden times of Photoshop-assisted data manipulation. Not many suspected that scientists would sit at their computers digitally cloning gel bands inside gel images, stitching seemingly continuous figure panels from various, often unrelated gels, erasing image background and fragments which might have spoiled the narrative, or reusing old published pictures as new results. Many of the authors of such manipulated papers are meanwhile professors and directors of institutes, some also act as academic editors of scholarly journals. Nothing can touch them now, all they have to do when fingers are pointed on internet, is to sit it out until the evidence of misconduct turns into entertaining anecdotes of their wild youth. These Millennial years, which became the Golden Age of Biological Imaging is why PubPeer is overflowing with evidence of grossly manipulated data from the period around late 1990ies till around 2010. It is not that scientists became more honest since, but they sure became more difficult to catch on data rigging. For one reason, gross image reuse or manipulation is rare these days, after the warning stories of research misconduct became widely known. Scientists probably returned to manipulating data the old way, by tweaking the experimental conditions or rigging samples in the lab. You can’t get caught on that until a colleague blows a whistle, and Academia has its long-honed ways of swiftly dealing with such despicable rat-finks. The other reason why evidence of data manipulation will soon become rare, is digitalisation of biological analytic technologies. As long as noone can force you to release your original gene expression analyses, microscopy files, code or spreadsheet quantifications, it is all up to your ingenuity. After all, your data is just a row of numbers, no IT or Photoshop skills needed there. To celebrate the past Golden Age of Biological Imaging, I selected an example of the British cancer researcher Paul Workman, President and CEO of the huge Institute of Cancer Research (ICR) in Sutton, which is in greater London and part of the University of London. Workman, a Fellow of the Royal Society of Chemistry, received many awards and much funding thanks to his work on the heatshock protein 90 (HSP90), which his papers reliably validated as a druggable cancer target. Prof Workman is about to cure cancer, and indeed, his preclinical research on HSP90 has moved into clinical trials. Now look at these figures from Workman lab, in the papers Banerji et al, Cancer Chemotherapy and Pharmacology, 2008 and Sain et al, Molecular Cancer Therapeutics 2006, both dealing with the anti-cancer activity of HSP90 inhibitor 17-allylamino-17-demethoxygeldanamycin. So many bands look suspiciously similar that you just stand in disbelief and do not know where to look first. The bands were apparently not just cloned inside same gel image, but also across different figures in two different papers. Why did the authors do that? Is it because the experiments didn’t work out as they expected, and needed to be nudged a tiny bit into the right direction? Or was it to save time, because their genius scientific minds knew exactly which result to expect, and this is why these scientists will easily reproduce it 10 or 12 years later, should the journals ask for a correction? Band duplications inside gels and across papers highlighted with coloured boxes. Source: PubPeer. Udai Banerji, the first author of the older paper, works in Workman’s ICR and even featured on BBC. Sadly, he talked there about curing cancer and did not explain how to generate convincing western blot figures on a computer, which can then be then used for publication in medical journals and in this way to scare cancers into regression. The Sain et al 2006 paper is indeed a piece of work, do visit the corresponding PubPeer page. Workman is its penultimate author, which means his lab was key collaborator. The last author on Sain et al 2006 is Ann Jackman, now emeritus professor at ICR, she is in turn penultimate author on the, well, “related” Banerji et al 2008 paper. This for example, is the Figure 6 from Sain et al 2006. No more mere band duplications indeed. It appears like the entire gel for C-RAF or p-ERK or AKT or mTOR shows the same band cloned 9 times in a row. Similar case with Figure 7. Here, the PubPeer sleuth gave up labelling cloned bands and simply wrote for ERK and GAPDH blots “All bands same“. Those are, as above, loading controls, so it is to be expected that a friendly journal editor will dismiss them as irrelevant. Yet the loading control is probably the most important part of an analytic gel, without it all “main” results become pointless (read more here). Even if those other bands were not cloned also, which in this Workman paper, they very much excessively look like. No words either. Source: PubPeer. Did noone really notice anything? Maybe this poor overworked man Workman was just unlucky with those two papers, and 2006-2008 was a difficult, crazy time for him? Well, here is a paper from 2010, again on HSP90 inhibitors: Gaspar et al, Molecular Cancer Therapeutics 2010. The journal Molecular Cancer Therapeutics is published by AACR, the American Association for Cancer Research. It is the biggest and the most important cancer society in the world. Also the journal Clinical Cancer Research is published by AACR, and here Workman placed a collaborative paper Pacey et al 2011 which last author is Ian Judson, meanwhile retired ICR professor. The paper is also about HSP90 inhibitor, and again it scientifically proves that pharmacological HSP90 inhibition causes western blot gel band duplication. “An example of an innovative approach to tackle resistance is the discovery and development of Hsp90 inhibitors – a totally new type of drug that we, and only a few other research centres worldwide, have pioneered. These inhibitors have the exciting ability to target several different cancer molecular weaknesses at once, and so can overcome or even prevent drug resistance. It took costly, high-risk research to develop Hsp90 inhibitors and they have progressed from being a poorly appreciated drug target to one of the most actively pursued in the drug industry today. Leading Hsp90 inhibitors have shown very encouraging results in trials of patients with HER2-positive breast cancers that have become resistant to trastuzumab and patients with non-small cell lung cancer who have become resistant to the widely used molecular targeted drugs erlotinib and crizotinib. It would be very disappointing if this sort of innovation is not rewarded when it comes to deciding if the NHS will pay so that patients can benefit”. Maybe his burning desire to save cancer patients and convince NHS to pay for the HSP90 inhibitor therapies was what caused such a corner-cutting hurry in Workman’s lab? Should drugs enter clinical trials based on “creatively” produced laboratory data? What if the trial participants, who are desperate cancer patients hoping for a cure, knew how the published preclinical data was really obtained? Now, aside of journals, whom should one complain to about all this? To ICR and its director Workman, with the request for him to investigate his own papers? That would be interesting. To Cancer Research UK which funds ICR? Maybe not such a good idea, they saw no problem giving charity money to one of most notorious zombie scientists around, Silvana Bulfone Paus. The bizarre collage works of Workman can be used as teaching material for the excesses of the Millennial years, the Golden Age of Biological Imaging. Because Workman’s published legacy is a piece of work indeed. Some may be simple mistakes, others are more involved. 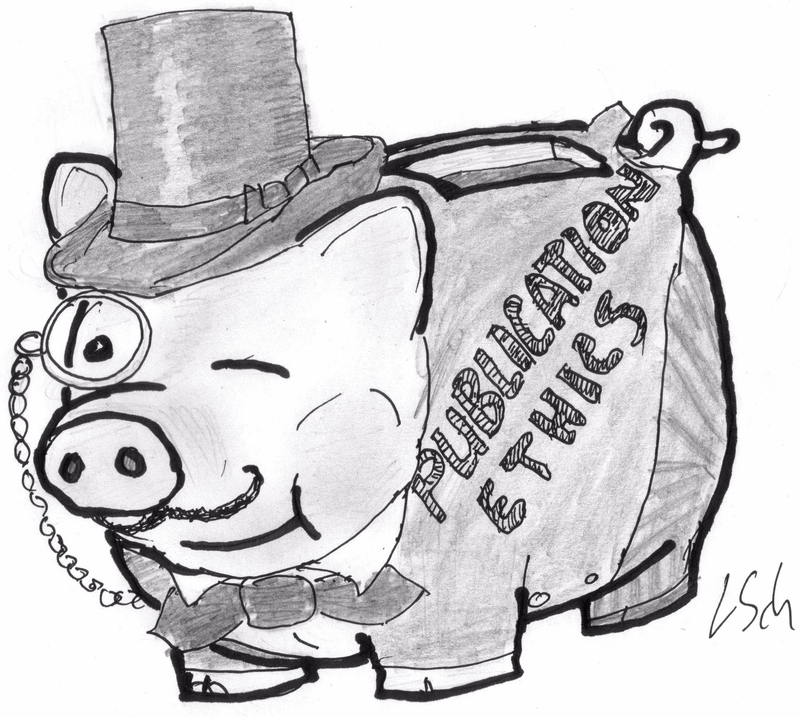 There will be a conflict on interest in dealing with the problematic data in 2 papers Paul Workman has published in that journal. There will also be a conflict of interest in dealing with 2 papers in the journal Cancer Research a sister AACR journal. and in a Clin Cancer Research (another AACR journal) paper. Mol Cancer Ther. 2006 May;5(5):1197-208. Potentiation of paclitaxel activity by the HSP90 inhibitor 17-allylamino-17-demethoxygeldanamycin in human ovarian carcinoma cell lines with high levels of activated AKT. Sain N1, Krishnan B, Ormerod MG, De Rienzo A, Liu WM, Kaye SB, Workman P, Jackman AL. The Haddow Laboratories, The Institute of Cancer Research, 15 Cotswold Road, Sutton, Surrey SM2 5NG, United Kingdom. Same GAPDH loading control used for 3 different experiments. Clin Cancer Res. 2005 Oct 1;11(19 Pt 1):7023-32. Pharmacokinetic-pharmacodynamic relationships for the heat shock protein 90 molecular chaperone inhibitor 17-allylamino, 17-demethoxygeldanamycin in human ovarian cancer xenograft models. Banerji U1, Walton M, Raynaud F, Grimshaw R, Kelland L, Valenti M, Judson I, Workman P.
Cancer Research UK Centre for Cancer Therapeutics, The Institute of Cancer Research, Haddow Laboratories, Sutton, United Kingdom. Figure 6B. The right 2 lanes (Paclitaxel and carboplatin treatments) of the c-RAF-1 panel do not look like they come from the same blot as the right 2 lanes of the other panels. c-RAF-1 and HSP70 have very similar molecular weights. The vertical slips in the bands most clearly seen in the LCK panel are not apparent in the CDK4 or GAPDH panels. The examples on Pubpeer are staggeringly bad and well past the point of pure arrogance. These people should not have degrees let alone jobs, and to have them in positions of influence is a mockery of scientific aspiration. I had no idea Britain had sunk to the level of a backward nation. At least they still can make a mean nature documentary. There is an embarrassment of riches. Reflects the title of the article, and suggests the question: has the Institute for Cancer Research become bloated on riches not deserved? These frankengels are really impressive and probably some of the best examples in the genre. I enjoyed going over them over a few coffees. Thanks! It’s too bad that now it’ll be harder to catch, er… ‘performers of excesses’ and it’ll be like my field, where you can make up numbers, and everyone is too busy to check your demanding experiment anyways. But, there is also less money and prestige in my field, so I still believe (perhaps naively) that we’re cleaner. I have heard echoes of that, but how to quantify? Can we believe in anything that is publish in high impact journals nowadays? Yes. But there must be zero tolerance towards fraud, also there is similar or more fraud in other journals. J Biol Chem. 2003 May 2;278(18):16059-72. Epub 2003 Feb 17. The histone deacetylase 9 gene encodes multiple protein isoforms. From the ‡Leukemia Research Fund Centre at the Institute of Cancer Research, London SW3 6JB, United Kingdom and the §Department of Medicine, Mount Sinai Medical Centre, New York, New York 10029. Mol Cell Biol. 2005 Jul;25(13):5552-66. Histone acetyltransferase activity of p300 is required for transcriptional repression by the promyelocytic leukemia zinc finger protein. Guidez F1, Howell L, Isalan M, Cebrat M, Alani RM, Ivins S, Hormaeche I, McConnell MJ, Pierce S, Cole PA, Licht J, Zelent A. 6Division of Hematology/Oncology, Department of Medicine, Mount Sinai School of Medicine, New York, New York 10029. Most of the papers with image manipulation are about HSP90 inhibitors. You’d think that the Royal Society of Chemistry would look before it leaps. This happened after the story came out. Prince Charles is famous for liking all things “organic”, how the field was ploughed, how the seed was sown, the processes by which the manure was made, so why doesn’t His Royal Highness ask Paul Workman to see his primary data on HSP90 inhibitors? ICR is very media savvy, especially by cleaving a BBC Broadcaster to its bosom. why doesn’t Victoria Derbyshire ask to see Paul Workman’s primary data on HSP90 inhibitors? Why is ICR awarding Sir Harpal Kumar an honorary doctorate? “Sir Harpal has a long list of achievements spanning his career in cancer research institutes” is a euphemism. Is not the same thing as doing science in cancer institutes. He has only ever been an administrator. Because he has been feeding them money for years and helped cover up many scandals including sexual harassment, scientific misconduct, illegal dismissals, corrupted financial handlings etc. There is evidence for all of this. Workman has fooled the panel of experts that he has mastered the skill of western blots. What was his natural habitat? 2018 retraction of Mol Cancer Ther. 2006 May;5(5):1197-208. This article (1) is being retracted at the request of the authors. The work is in two main parts. The first part is a description of the relevant characteristics of the human ovarian cancer cell lines used and an analysis of the efficacy of the combination of the HSP90 inhibitor 17-AAG with paclitaxel and carboplatin. The latter part shows the effect of the single agents and drug combinations on HSP90 client proteins and downstream effectors. All of the experiments in the article were carried out in the laboratory of the senior author A.L. Jackman. It has been brought to our attention that in the second part of the article, Figs. 5A, 5B, 6, 7, and 8 contained inappropriately assembled Western blots. N. Sain performed the experiments and processed the data and has taken primary responsibility for the flawed figures. The authors wish to sincerely apologize to the scientific community and deeply regret any inconveniences or challenges resulting from the publication and subsequent retraction of this article. 1.↵Sain N, Krishnan B, Ormerod MG, De Rienzo A, Liu WM, Kaye SB, et al. Potentiation of paclitaxel activity by the HSP90 inhibitor 17-allylamino-17-demethoxygeldanamycin in human ovarian carcinoma cell lines with high levels of activated AKT. Mol Cancer Ther 2006;5:1197–208. “N. Sain performed the experiments and processed the data and has taken primary responsibility for the flawed figures.” Blaming downwards. Is that line going to be used for any other corrections, retractions? Also wtf is “primary responsibility” the corresponding author got FULL RESPONSIBILITY. 2018 Paul Workman correction of Cancer Chemother Pharmacol. 2008 Oct;62(5):769-78 raises more concerns. Request RSC rescind prize. Cancer Chemother Pharmacol. 2008 Oct;62(5):769-78. doi: 10.1007/s00280-007-0662-x. Epub 2008 Jan 10. An in vitro and in vivo study of the combination of the heat shock protein inhibitor 17-allylamino-17-demethoxygeldanamycin and carboplatin in human ovarian cancer models. Banerji U1, Sain N, Sharp SY, Valenti M, Asad Y, Ruddle R, Raynaud F, Walton M, Eccles SA, Judson I, Jackman AL, Workman P.
Luminespib (INN, previously known as NVP-AUY922) is an experimental drug candidate for the treatment of cancer. It was discovered through a collaboration between The Institute of Cancer Research and the pharmaceutical company Vernalis and licensed to Novartis..[..]…. A related compound, NVP-HSP990, was abandoned by Novartis in 2012 after it failed to show efficacy in an early clinical trial. For GDC-0941 the trail seems to have gone cold or am I missing something? Mol Biol Cell. 2004 Jun;15(6):2707-19. J Biol Chem. 2004 May 28;279(22):23098-103. Epub 2004 Mar 23. Endothelin-1 induces expression of matrix-associated genes in lung fibroblasts through MEK/ERK. Xu SW1, Howat SL, Renzoni EA, Holmes A, Pearson JD, Dashwood MR, Bou-Gharios G, Denton CP, du Bois RM, Black CM, Leask A, Abraham DJ. Centre for Rheumatology, Department of Medicine, Royal Free and University College London, United Kingdom. Why wait for artificial intelligence when we can see the problematic data now? Academic Department of Haematology and Cytogenetics, Institute of Cancer Research, Sutton, Surrey, United Kingdom.